In its SS17 Generations collection, Boggi takes the legacy and genetics of past styles to satisfy the concept of elegance and a new desire: the re-interpretation of new generations. Every question will have its answer, every situation its dress code. Past codes become modern combinations; the idea of classic style is sustained by a continuous research. Contemporary textiles, exclusive combinations, tradition and evolution. The Upper Classic theme is attentive to colours and materials. The use of spun Mohair permits a stable thermal condition and above all, brightness and refinement that makes the soul of the garment even more aristocratic. The unlined two buttoned jacket is beautified by the peak lapel and the pockets, called “ticket pocket”, inspired by the 19th century English models. It’s all about the style, wearability and freshness: A trend driver for the last few seasons is the jersey jacket, representing the perfect combination between style and comfort. As for the travellers, stretch material, with no synthetic fibres, will guarantee high standards of comfort for every travelling businessman. 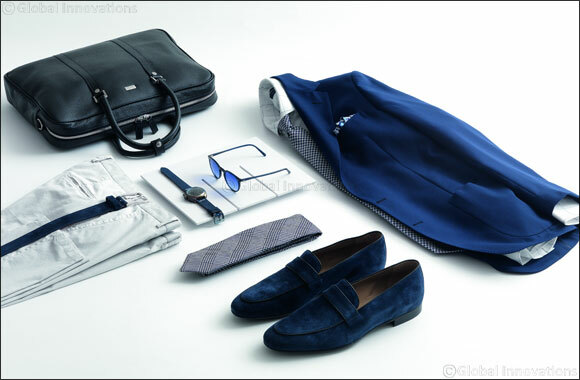 Boggi’s suits are fit to travel, resist every movement and will return flawless at the end of every journey. Integrating this season’s various trends, Boggi’s SS17 Generations collection is like no other.